WASHINGTON DC: US Defence Secretary Jim Mattis has confirmed President Donald Trump attempt to reach out to Pakistan to end the war in Afghanistan, stressing that the US looked for every responsible nation to support peace in “the subcontinent and across the war” in Afghanistan. Mattis spoke to the media, while receiving his Indian counterpart Nirmala Sitharaman to the Pentagon. He said that Washington was doing its best to protect Afghan people as its diplomats were working to end the war. The White House also confirmed a letter, President Donald Trump wrote to Prime Minister Imran Khan, asking for Pakistan’s help with faltering Afghan peace talks. A senior Trump administration official said the president sought “Pakistan’s full support” for the US effort to advance the Afghan peace process. At the Pentagon, Mattis was specifically asked if Washington had more confidence in Pakistan’s willingness to help with Afghan peace process. 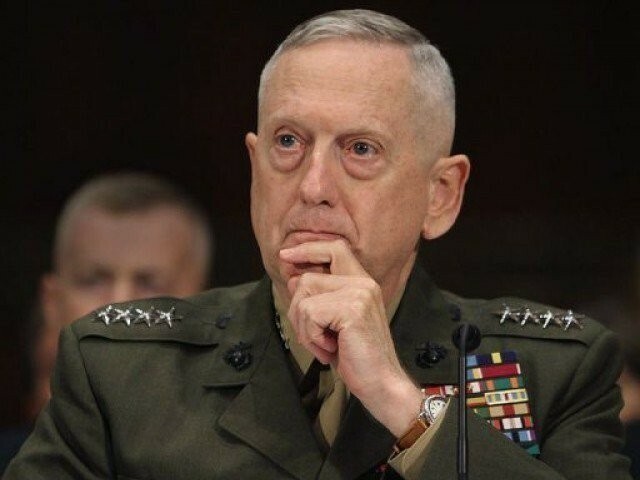 “It’s gone on now, it’s approaching 40 years, 40 years is enough and it’s time for everyone to get on board,” Mattis told a reporter. “…[All stakeholders] are trying to maintain peace and make for a better world here. So we are on that track. It is diplomatically led, as it should be, and we’ll do our best to protect the Afghan people as the diplomats work support to end the war,” the defence secretary added. The US president wants to end the 17-year-old conflict between Afghan security forces and the Taliban, who are fighting to drive out international forces and re-establish their control. Trump has appointed Afghan-born US diplomat Zalmay Khalilzad as special envoy tasked with pushing through the peace talks. The administration official, who did not want to be identified, told Reuters that Trump requested “Pakistan’s full support” for the US effort to advance the Afghan peace process and for Khalilzad’s trip to the region. In the letter, the official said, Trump “recognises that Pakistan has the ability to deny the Taliban sanctuary” on its territory. “The letter also makes clear that Pakistan’s assistance with the Afghan peace process is fundamental to building an enduring US-Pakistan partnership,” the official added. The Foreign Office on Monday said that Trump asked for Islamabad’s “support and facilitation” in negotiating an end to the war, and offered to renew bilateral ties. Khalilzad arrived in Islamabad and on Tuesday and held talks with Foreign Minister Shah Mehmood Qureshi. Trump has been clear that he wanted to bring home US troops who remained in Afghanistan as part of Resolute Support and a separate counter-terrorism mission aimed against militant groups such as al-Qaeda and Islamic State. The ministry statement said that Trump emphasised that Pakistan and the US should explore opportunities to work together and renew their partnership, adding that Pakistan was committed to playing “a facilitation role in good faith”. Separately, China welcomed on Tuesday, “the sound interactions between Pakistan and the US”, stressing that the relations between Islamabad and Washington were “conducive to the large picture of the international counter-terrorism campaign”. At a daily briefing at the Foreign Ministry’s spokesperson Geng Shuang said that China was happy to see the improvement of Pakistan-US relations and “support the equal-footed and mutually beneficial cooperation” between the two countries. “The sound development of Pakistan-US ties is conducive to the large picture of the international counter-terrorism campaign, an early reconciliation and reconstruction in Afghanistan, and the regional peace and stability,” Geng told the media. “We hope they will step up communication and cooperation on Afghan issue and stay committed to promoting peace and development in Afghanistan and the region,” he added.